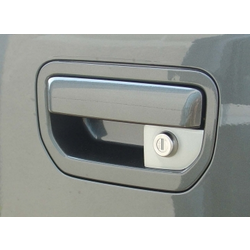 Our custom designed locks integrate with your OEM tailgate to provide maximum security and stylish looks. Choose either manual key locks or power locks that are hidden away and operate with your key fob. Fits vehicles WITHOUT factory installed backup camera.